Does your posting look great and is it straightforward what you are offering? Seller needs to be sure that whatever they are offering should be clear & should be profitable as well. Keep in mind individuals have the capacity to focus not as much as a goldfish now. For Amazon Listing Optimization all you need to clear the “glance-able test.” when a person just see your listings for the first 5 sec and then find it interesting enough, then you have successfully completed the first test. Choosing the title that perfectly suits your product is a tough task. Basically, the title for your product is the most enviable part of your product as it gives the users and customers a clear-cut idea about what your product is all about. Include the primary keywords in your title. It is highly recommended to use the keywords 2-3 times throughout the content and make sure that is spread across a content containing 200-300 characters. Make sure that your title is more user-friendly. Keep in mind the maximum word limit that goes for 200 characters (although it keeps on changing). It’s imperative to be systematic when doing keyword research so that you don’t overlook anything and keywords aren’t ‘lost’. Grouping keywords into two different categories will help you be thorough and systematic. Keywords are search terms that a customer types into the search query on Amazon. Keyword research is an essential part of optimizing a great product listing. A systematic research of keywords could drive lots of customers to your products. The aim of keyword research is to make a proper list of all keywords that are relevant for a particular product. Making use of keywords in your product listing like using in – Title, Image ALT Tag, and Description will help your product listing to be visible to more customers and that will increase the chances to click and compel customers to ultimately buy it. Primary Keywords – These describe the core product or these are the identification and description of your core product. Secondary Keywords- These keywords can be distributed into various categories which can be different as per product. Just identify primary and secondary keywords along with relevant combination and add them to your product listing. Use a set of relevant keywords to well, optimize your product listing. A human brain processes the images 60,000 times faster than the text. With this psychology, it is easy to convince an Amazon buyer to buy your products and also mastering the visuals is not so difficult. Graphics are a part way to increase your conversion rate. One true fact is that 80% of the customers just do not read to your listings wholly so you need to ensure tremendously amazing visuals, which at a glance catch your customers. Using multiple images is one of the best options to build & maintain your brand loyalty. Ensure that you use a white background for your product images. Use Taglines that can marvelously describe your product. As they say “If you got it, just flaunt it”; A simple badge or any stamp that ensures the guarantee of your product can assist you a lot to retain your customers. Your item Description resembles the salesperson on the shop floor. It needs to pick up the purchaser’s trust by clarifying item data while additionally to flow customers’ interest and enthusiasm for the product. Always keep in mind that cheated once can affect you in the long run. Always ensure that the description that you use for your product is accurate and comprehensive. Making false promises regarding the product can win sales for a short period of time but eventually, it may lead to increase seller’s ODR (order defect rate). 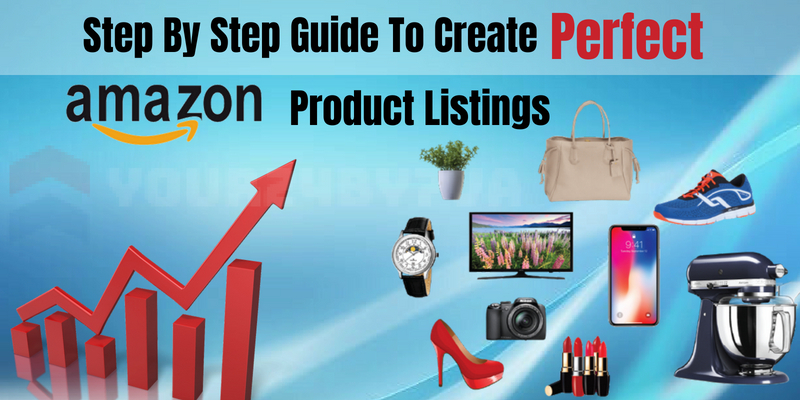 In the Description ,there is need to mention some of the USP and benefits of your products so that after going through your listing, buyers can imagine how your item would improve their own lives and feel them driven to purchase it. Remember to add Call to action to your description just to drive more sales. Mention the guarantees, offers and most important the refunds that you are going to make to your customers at the end of your listings. Amazon users are not going to skim around your whole Amazon Product list. So what you need to give your customers is the information that their eyes find attractive to just rest and have a glance upon. Use certain bullet points that make your description enough catchy, so as to let the eyes to just can it once. Place the Top most attribute of your product in the first bullet. Write all your primary product features in Capital Letters as Amazon restricts the use of bold letters to differentiate or highlight certain text. Use bullet points length as short as possible, maybe 1-2 line. To build customer trust and a sustainable long-term brand on Amazon, keep your prices stable and competitive. To get your items to stick on page one, you should think about the opposition around you. Yes ,this is very difficult to assess. Simply look your main three catchphrases for your item and audit the evaluating of the indexed lists on page one. There are two factors you have to consider for each and every item you offer on Amazon. 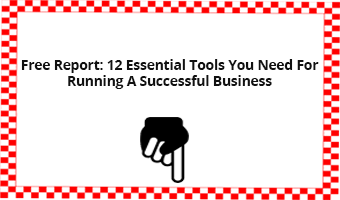 To start with, you have to think about the greater part of your expenses, and what your costs would be for you to be gainful on Amazon with those costs included. Make reference to what number of flawless (5 stars) reviews you have. This is played on the standard of social evidence in a roundabout way. This additionally works best in the event that you have a site that likewise has a bundle of reviews. Formally, you are not intended to say anything like this to Amazon. In any case, as their help is so awful these days, it would most likely take them around 2 decades to get on these things. • Commit to provide the best Amazon Services to your customers. This probably may include sending thank you emails to your users. • Try to engage regularly with your customers. • One of the easiest ways to get better reviews is to send follow-up emails to your customers. Amazon restricts the user to present their information in an attractive manner. This gives an edge to sellers who know HTML codes to enhance their Amazon Product Listings through good title & description. Enhanced Brands Content gives the seller a chance to optimize their listings. EBC actually compiles of 5 templates which helps to make the content attractive and user-friendly. With A+ Amazon Enhanced Brand Content you can choose from the banner and numbers to include in your design. Upgrading your item pages is extraordinarily imperative. Keep in mind the keys said above and don’t exaggerate the watchword components. Despite the fact that streamlining for the calculations is critical, what is more, the imperative is the efforts that you showcase just to retain sales and customers. Probably it is clear that, optimizing your E-store calls for perfect Product listings. Availing Amazon Virtual Assistant Services is a good option you can go for as Amazon Virtual Assistants come with an array of skills and underwent intensive research to optimize your product listing perfectly. Now optimize your Amazon store & enhance your sales easily!